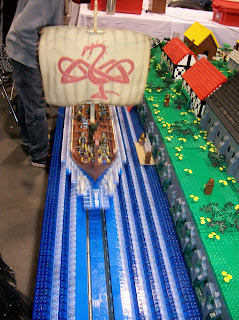 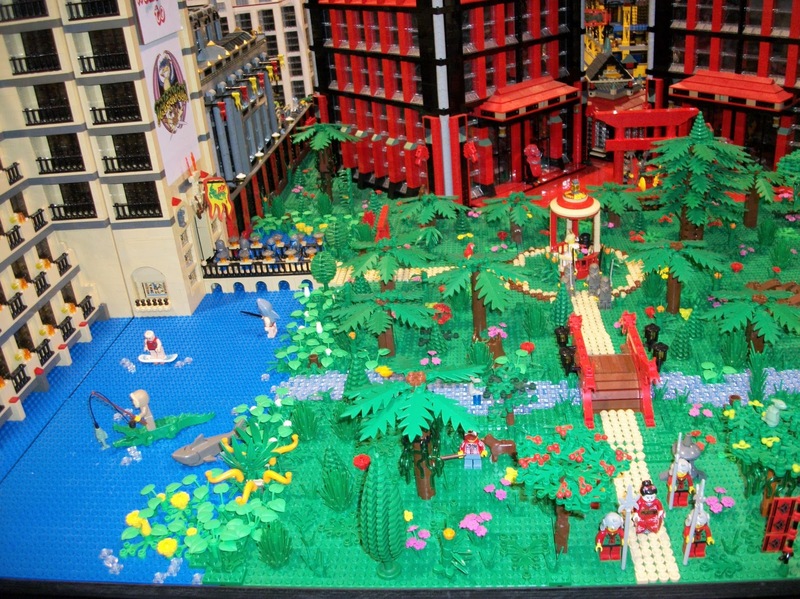 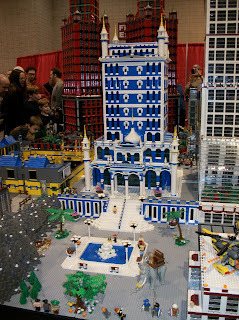 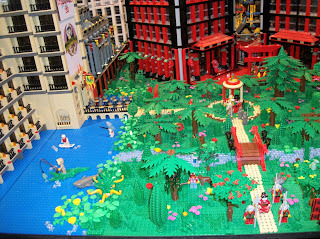 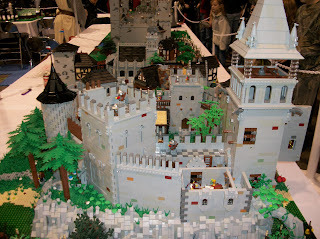 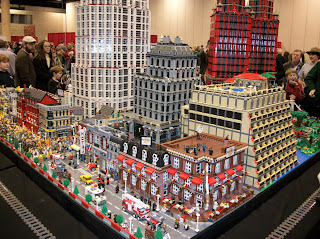 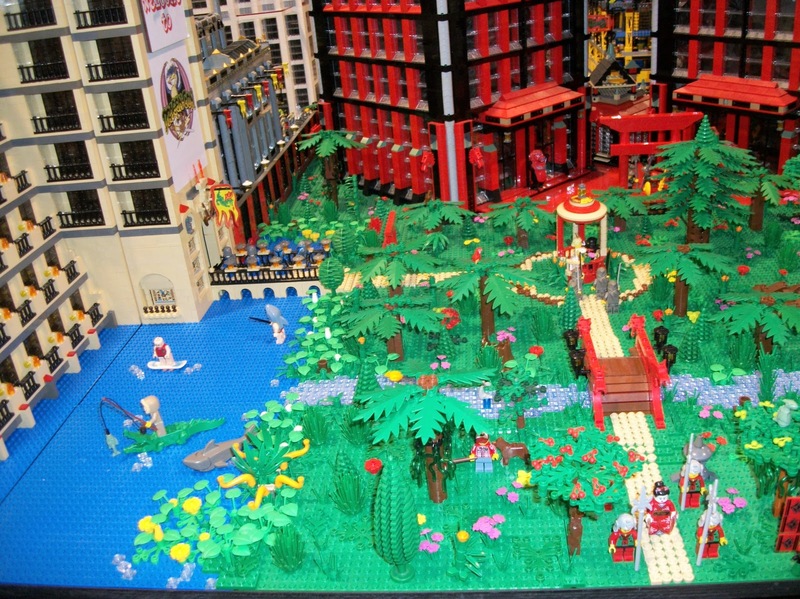 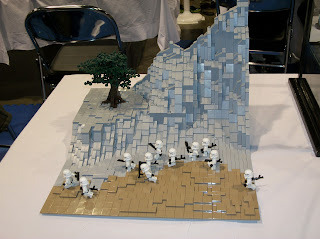 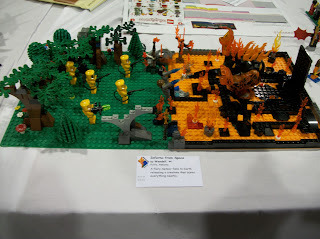 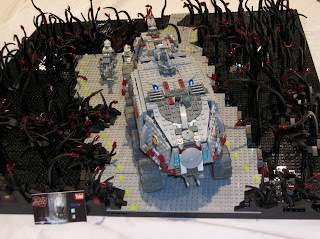 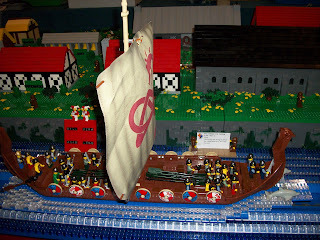 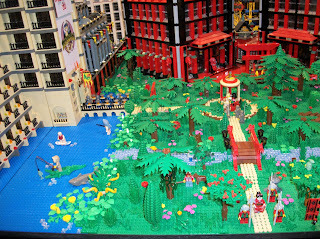 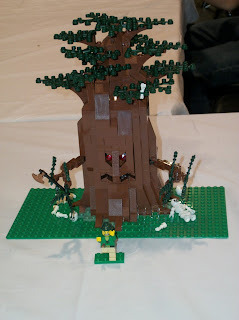 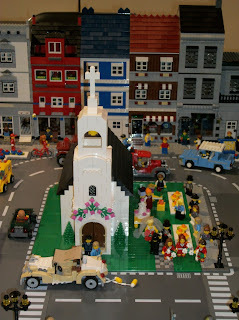 We went to the "public day" for Brickfair 2012 in Birmingham yesterday. 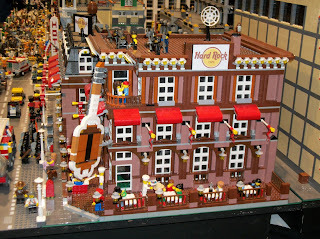 It was a good experience, although very, very crowded. 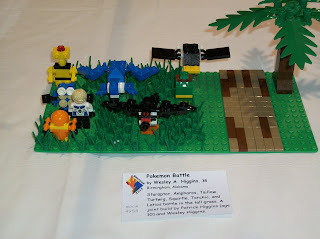 Apparently a lot of people have kids who love legos and who enjoy seeing what other people created. 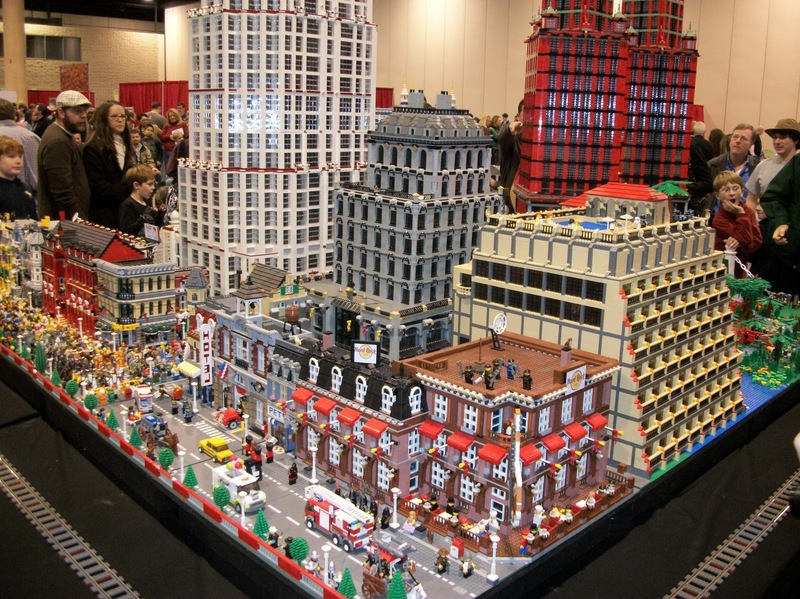 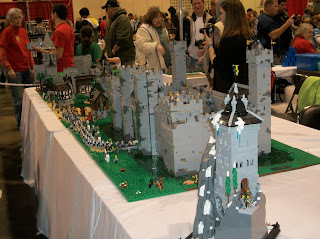 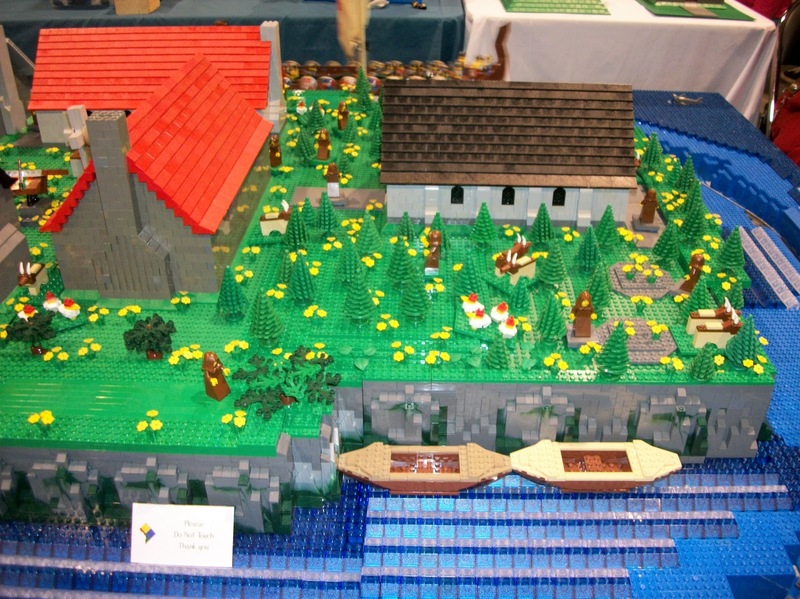 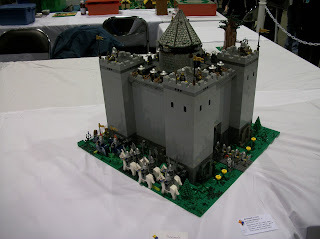 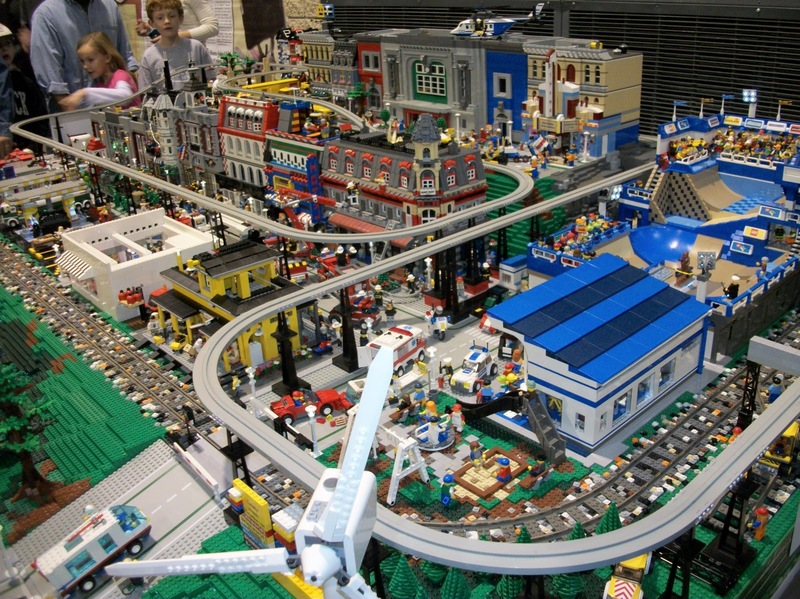 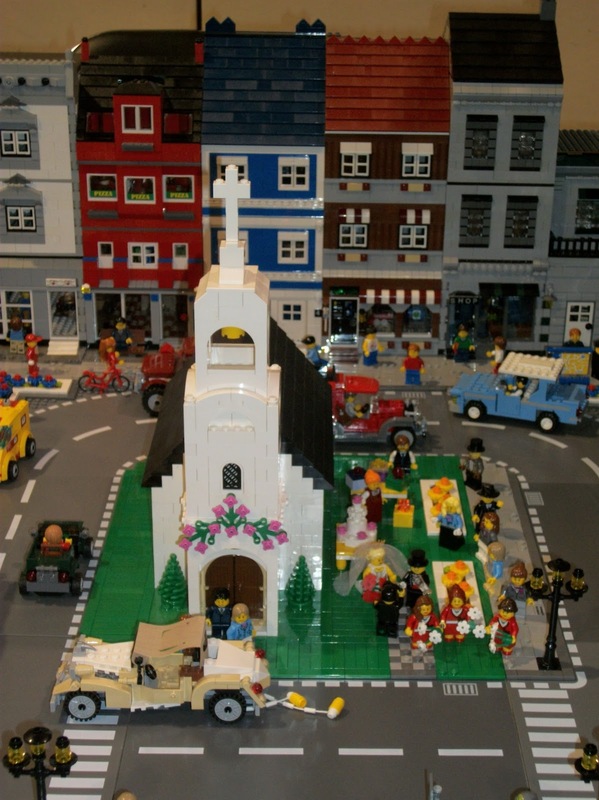 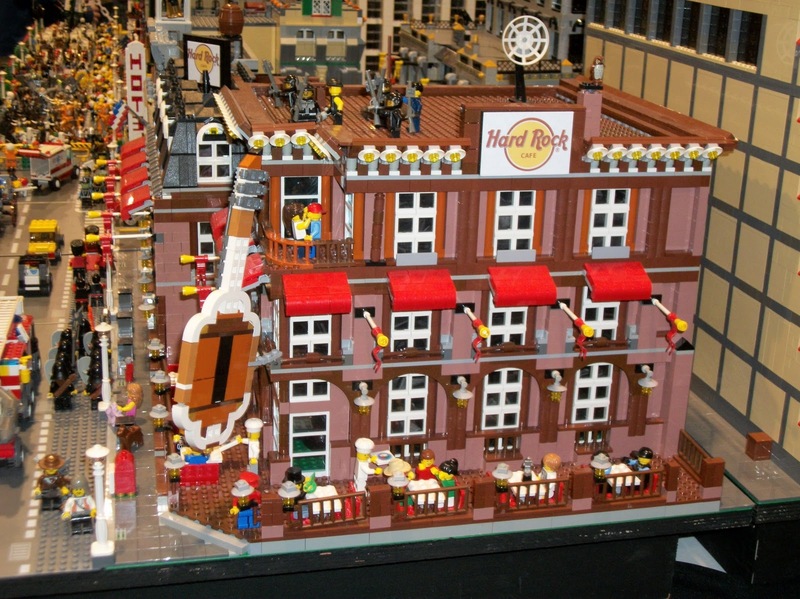 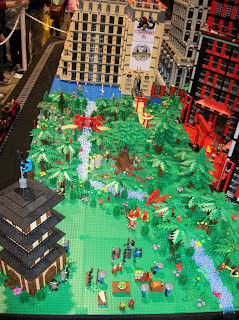 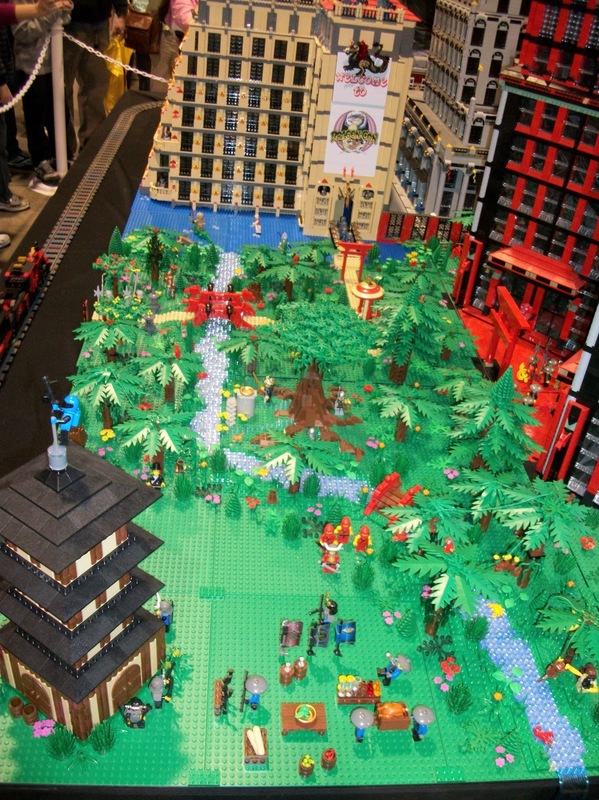 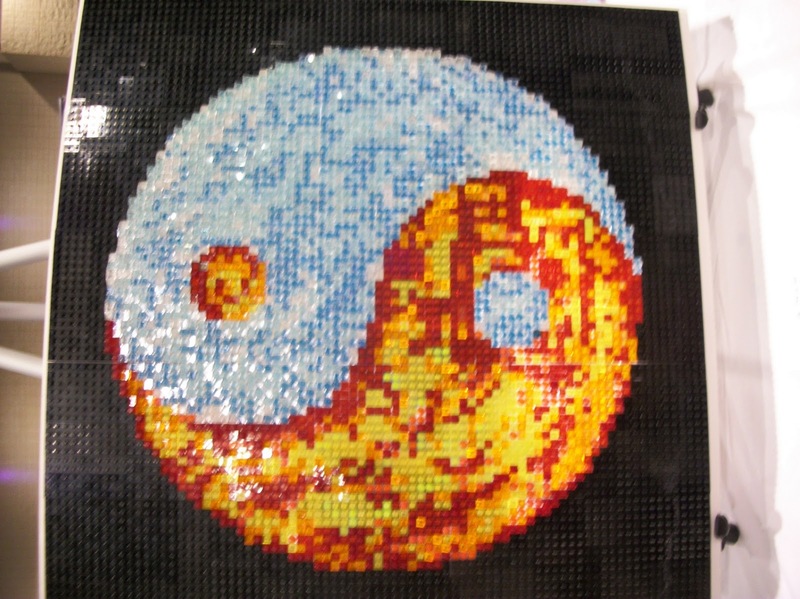 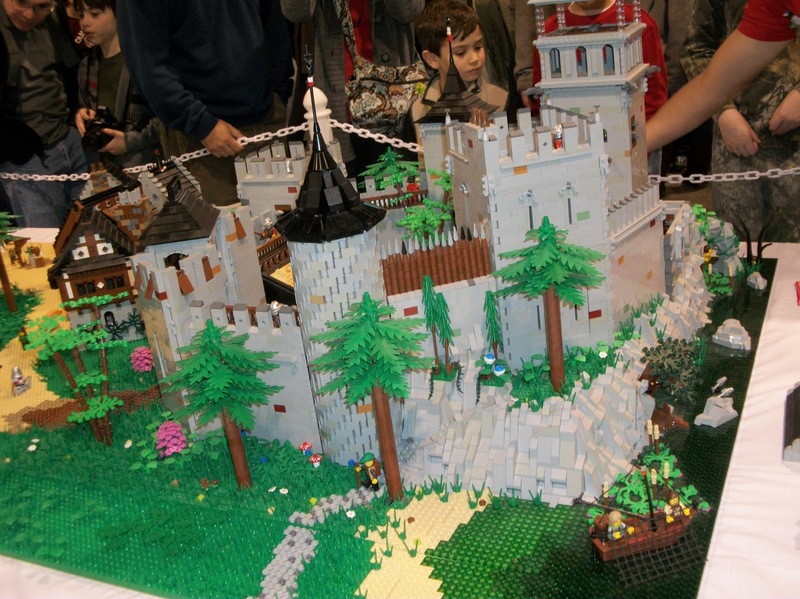 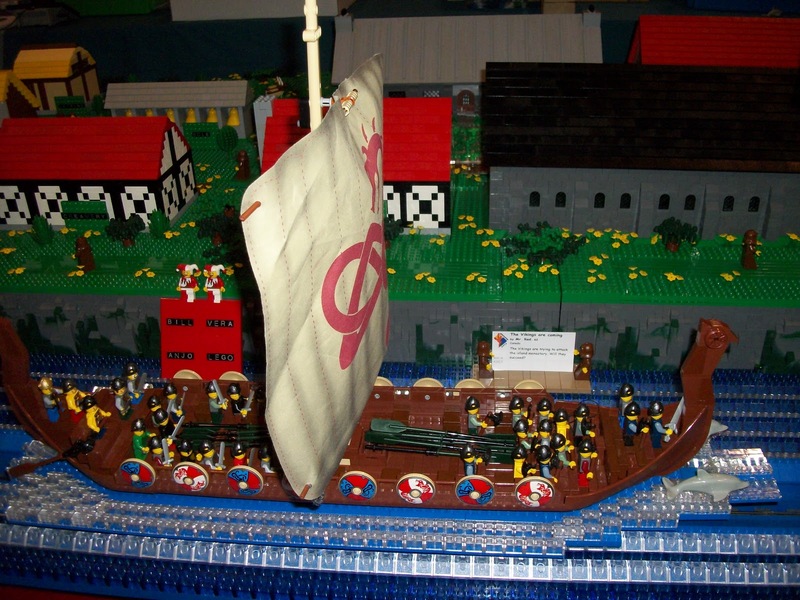 Brickfair, for those who aren't familiar with it, is as AFOL-Adult Fan of Lego-event, where people bring their best/favorite creations built out of Lego bricks and pieces to share. 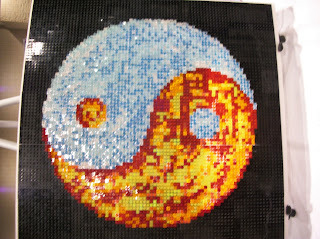 These range from robots (R2-D2, Wall-E and the cute little Android mascot all were there to compete in Robot challenges, along with quite a few unnamed, but I'm sure quite effective bots), Mindstorms and technics (including a Mindstorm that could solve a rubix cube), Rube-Goldberg type apparatus which were controlled via Lego soccer balls, and lots of lego dioramas and scenes. 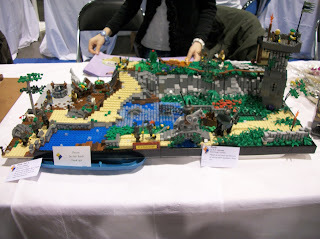 While most of the MOCs (My own Creations-anything that is built from legos that doesn't come from instructions) were built by adults, there were several 14-16 yr olds who had very impressive creations, and the youngest builder represented was 5 years old according to the tag on their creation. 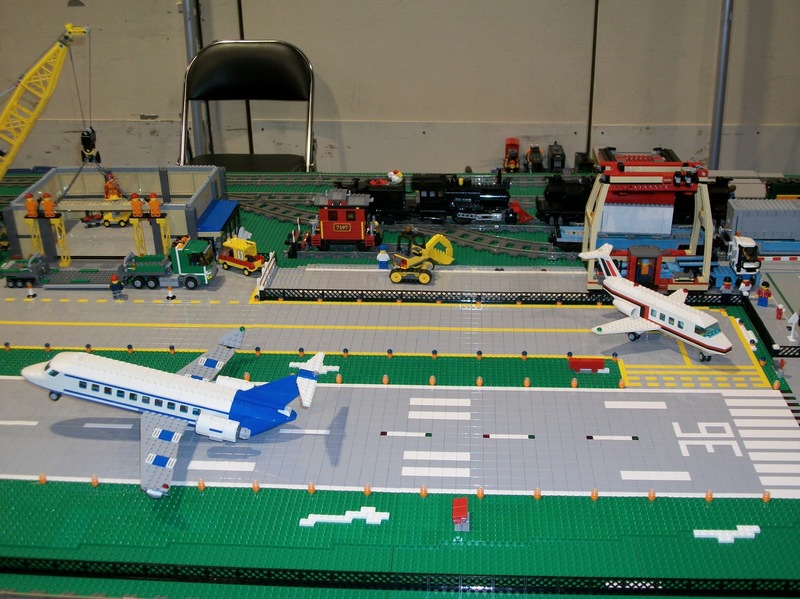 For many families, building with legos and showing their creations is a family affair. 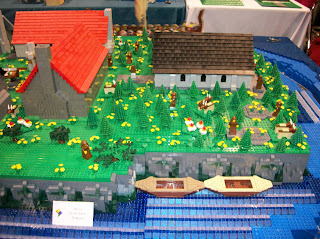 And I'm half convinced that one of my favorites, a very detailed monastery with moving Monks controlled by technics and hidden magnets, with a Viking ship sailing around it, was actually being shown by Santa and Mrs. Claus under an assumed name-especially since they stated their address as "Canada". Alli's favorite was a huge city scene, including a parade in full costume, leading to DragonCon-so Legos, meet Sci-fi/Fantasy conventions. And this isn't an odd combination at all-when she was chatting with one of the creators about his castle, he suggested that we should come down in May for their local sci-fi/fantasy/gaming con-which will also include a lego room. 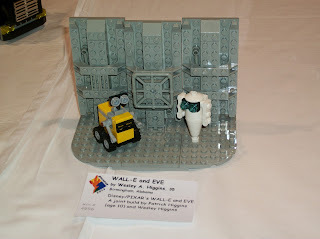 One of my favorites was essentially I-Spy, made with legos. 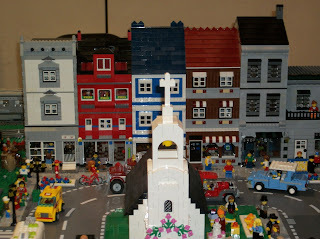 Another complicated city scene, including a skate park, stores, restaurants, houses, a carnival with merry-go round and carousel, and even a Village People concert (complete with a hidden speaker that, when triggered, played YMCA) came with a list of things to find. 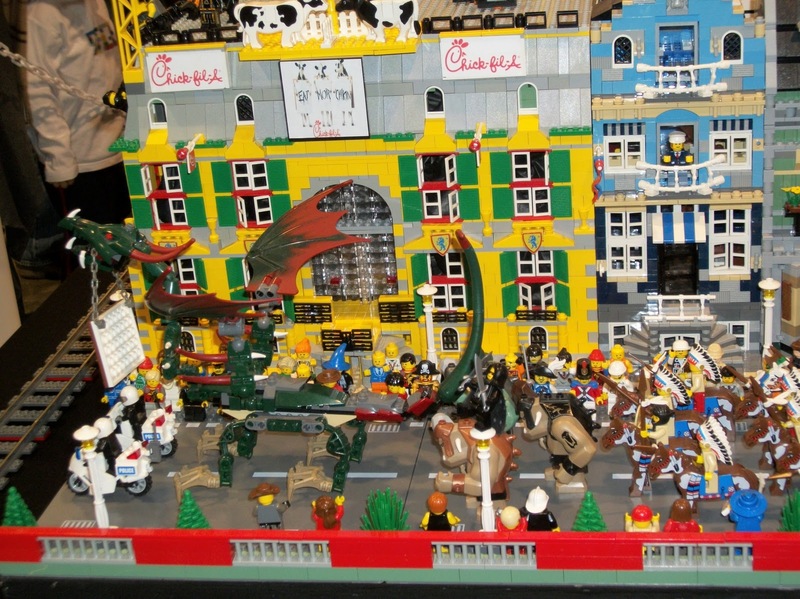 It was a popular stop. 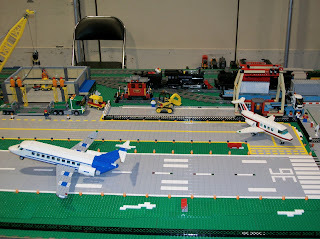 All in all, it was a fun day. 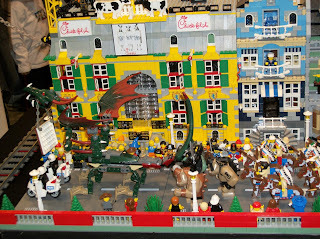 I do believe that the next time we go, we'll pay the higher fee for the full convention instead of the public day, though-both because it would avoid many of the crowds to be able to see everyone's creations when it's just the builders there, and because Alli started planning out what MOC she wants to enter next year before we even got the van out of the parking lot on the way home. 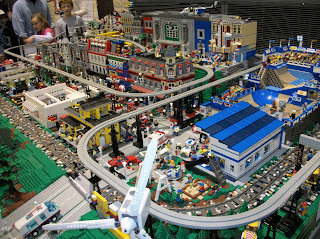 My son would be in heaven! 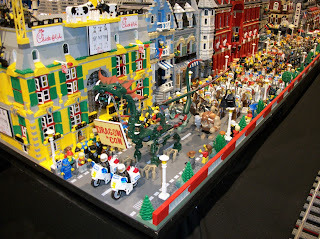 Are these all over the country or just in certain cities?